It all starts with one of the greatest premises I’ve ever heard: a group of journalists investigate a classified ad stating, amongst other things: “Someone to go back in time with me.” No, the ad is not a joke, and while “Safety Not Guaranteed” is a comedy, it does not treat the subject matter as such. There is a big difference between being mean, and prodding delicately. 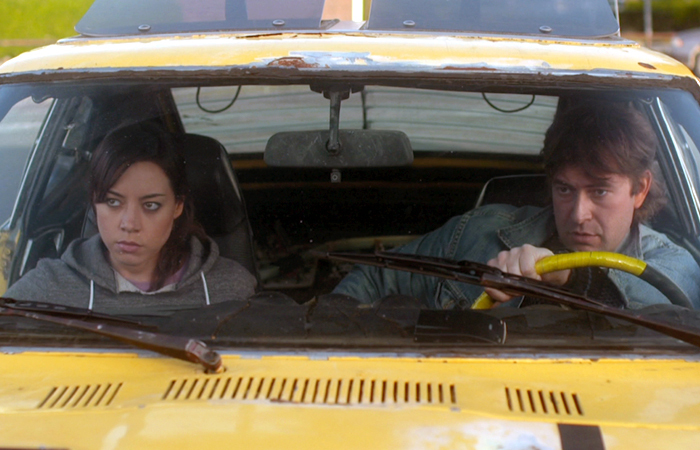 “Safety Not Guaranteed” is a Mumblecore film that is light on the mumbles. To call it a straight-up comedy would be a disservice. To call it a dramedy also wouldn’t quite be the right word. It falls somewhere else in between. Aubrey Plaza plays Darius, who can be added to her collection of sarcastic, anti-social sad sacks. While I feel I should be tired of it at this point, like I felt with Steve Carell in “Seeking a Friend for the End of the World,” I strangely feel like this is the only role Plaza should be playing. Every time she plays a character like Darius, it is as if she is revealing some new layer of her true self. But unlike, say, April Ludgate, Darius has a kinder air to her, and a darker backstory. She begins the movie explaining her life story, which mainly consisted of her being an anti-social sad sack as a result of her mother’s death. It turns out she is not just explaining this to the audience, but also to a man trying to hire her for a job. Needless to say, she doesn’t get it. Darius is also a hard-working intern for a Seattle magazine, where she can be seen lifting boxes and changing out rolls of toilet paper. One day, Jeff (Jake Johnson), an overly self-assured writer, spices up a brainstorming session by bringing out the aforementioned classified ad, and then suggests turning it into a story. Jeff recruits Darius and another intern, Arnau (Karan Soni), who is only interning for the magazine because he thinks that it will look good on his resume. Can any other Biology majors attest to this? “Safety Not Guaranteed” starts off as a detective story mixed with an offbeat road story of mismatched characters. It doesn’t veer toward sappy quirkiness or cliche in either case. The investigation takes them to the town of Ocean View. Jeff, however, has another motive for this mission: to track down his high school love interest. With this second story, the title takes on another meaning. Safety is not guaranteed, as this movie does not suffer from the cushion of predictability. We are not introduced to the man who put the ad out for quite some time, but it is well worth the wait. The investigation leads them to Kenneth (Mark Duplass). Duplass gives such a surprisingly warm performance despite never letting a smile come across his face. Kenneth, despite being a middling supermarket employee, also may or may not be a brilliant scientist who may or may not have discovered time travel. Now, “Safety Not Guaranteed” could have chosen any of the three leading men to be Darius’s eventual love interest (they all seem possible), and gotten three very different movies. With Jeff, it would have been a brief and regrettable affair. With Arnau, it would have been a quirky yet corny mismatched relationship. But with Kenneth, it feels just right. These two outsiders who couldn’t connect with people needed to meet each other in order to be able to face the rest of the world. However, “Safety Not Guaranteed” isn’t simply about two outsiders connecting over loneliness. “Safety Not Guaranteed” is about what we would change in our past, whether we could actually travel through time or not. The answers are not so simple. At one point, one likable character will turn out to be hiding a very big secret, and a very big lie. The movie doesn’t ask you to forgive the action, but certainly it does ask to accept the very possibility of turning over a new leaf. For a film with such a small budget, it certainly has great ambitions to be much more than it appears to be. This is fitting, as it is about people who aspire to transcend their rough edges. It sure packs a lot of change and development into just 84 minutes. It feels long, but that is because it is slow burning, not just slow. And while “Safety Not Guaranteed” is a comedy, it is not a comedy in the way that anyone would expect. The funniest moment in the film involves Plaza trying to re-organize a shelf of soup cans while trying not to look suspicious. While “Safety Not Guaranteed” brings out the very best of its small ensemble, there is still a lack of closure in certain areas. 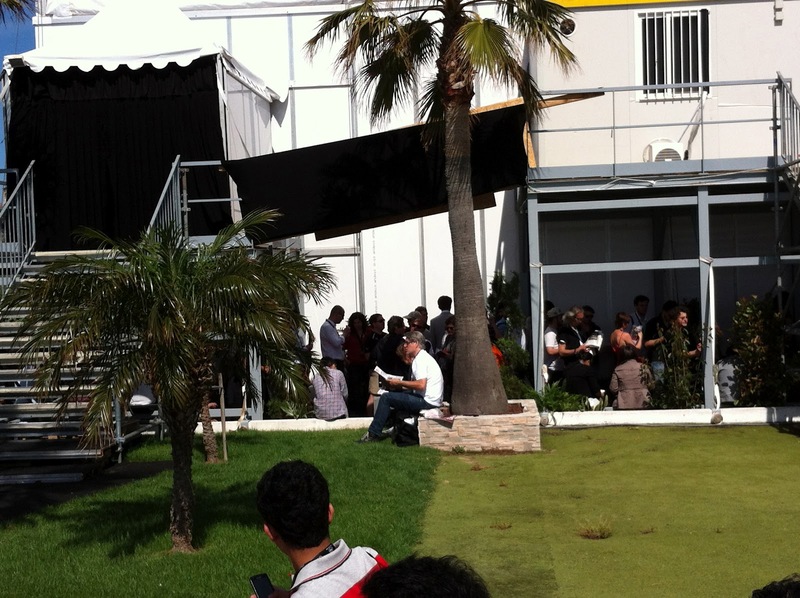 I wouldn’t have minded if director Colin Treverow had tacked on a few more minutes to the running time. Jeff’s story arc didn’t feel totally resolved. Also, one big late story twist isn’t really given enough time to sink in, and there seems to be something of a rush to the grand finale. For a film that takes its time to tell its story, and often gets lovingly lost in images of sun-soaked beaches, this didn’t feel right. However, the ending is a small-scale marvel. For a film with this small of a budget, one visual feat is particulary impressive. What is really nice about “Safety Not Guaranteed” is its optimistic outlook. Films of this kind tend to view everything with through a cynical lens. However, “Safety Not Guaranteed” is not about a bunch of hipsters forever mad at people who don’t get emotional while listening to The Shins with Natalie Portman. This film does not want to punish the audience for its patience. This is now, and probably will remain, the most inspired and inventive film ever to be made based off of a classified ad. I can only hope that that the events in “Safety Not Guaranteed” played out the same way in real life. For now, I will just have to live with the notion that fiction is often a lot more interesting than reality. This entry was posted in Aubrey Plaza, Duplass Brothers, Jake Johnson, Mark Duplass, Movie Review, Safety Not Guaranteed, Time Travel on June 28, 2012 by ian0592. Here is a video of Bill Murray giving a tour of the house in “Moonrise Kingdom.” “Moonrise Kingdom” opened a few weeks ago, and I’ve already seen it, so there seems to be no apparent reason that I’m posting it. 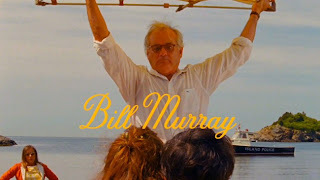 However, this video contains Bill Murray. 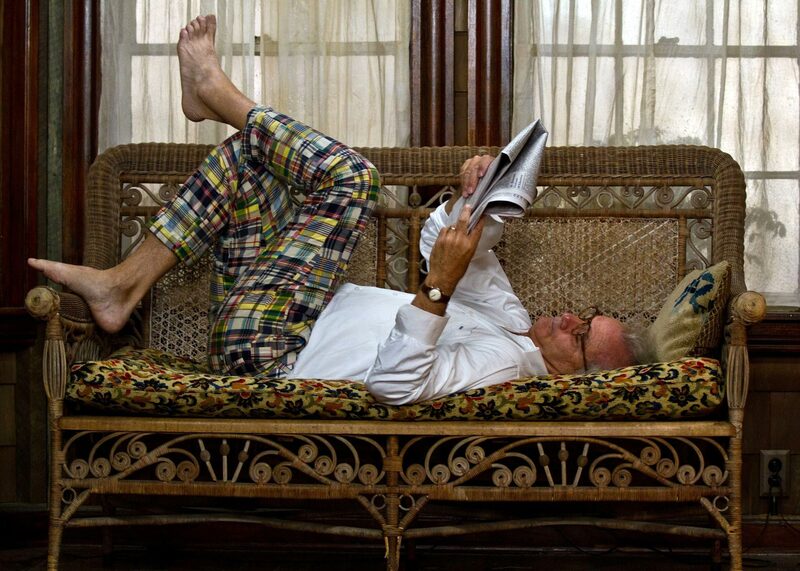 I can’t tell if Bill Murray is joking or serious most of the time he speaks, which is probably what makes him so mysterious and so awesome at the same time. I take everything he says as words of wisdom. Which is why, after this video, I will never wear short pants again, as according to him doing so is asking to get robbed. Genius. Also, seeing the details that go into making a set on a Wes Anderson film never ceases to amaze me. 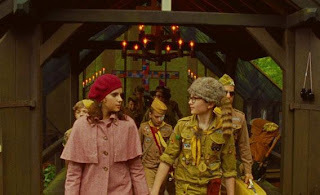 I need to see “Moonrise Kingdom” again, and as soon as humanly possible. 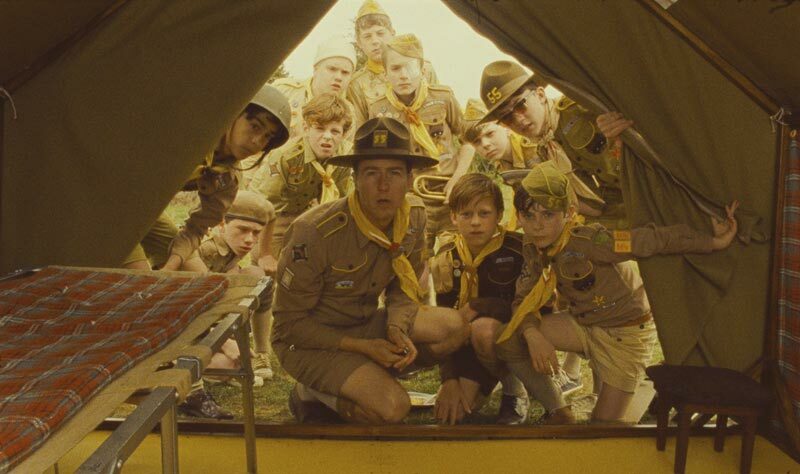 This entry was posted in Bill Murray, For No Apparent Reason, Moonrise Kingdom, Wes Anderson on June 13, 2012 by ian0592. Last night, Andy Samberg announced that he will not be returning to “Saturday Night Live” in the fall. This was a sad, yet expected announcement. Expected as in I expected this to happen much longer ago, as Samberg has been a star for many years now. But he needed to stay because without him, “Saturday Night Live” would have been a much different show. Samberg may have saved the show from irrelevance by launching his first Digital Short, “Lazy Sunday,” in 2005. 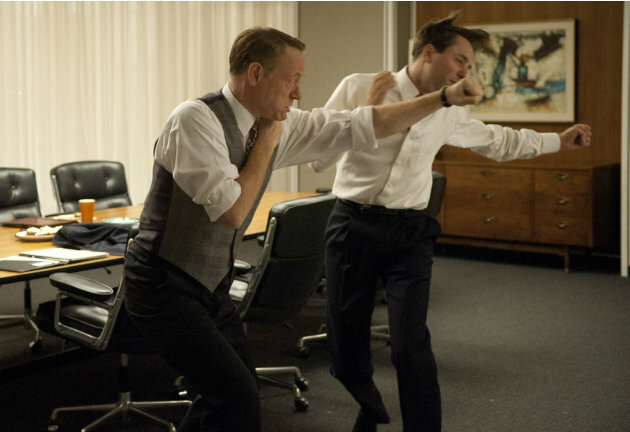 With the Digital Short, the show found a way to survive in the 21st century. Of course, promising new cast members and a Sarah Palin impression would also help, but let us not forget the importance of the Digital Short. With his band The Lonely Island, Samberg has released two albums, and I pray that a third be on the way at some point in the near future. Samberg does not get nearly enough credit for being such a versatile performer. He can sing, tell jokes, and act. While Samberg’s videos are usually what he is best known for, he could do a few good impressions, including one that got him in trouble with Mark Wahlberg. I worry for Samberg’s movie career if he chooses more projects like “That’s My Boy.” However, I am optimistic if he instead makes more movies like “Hot Rod.” “Hot Rod” mixes a whole lot of insanity with a whole lot of heart, and dozens of YouTube worthy moments. After the jump: Kristen Wiig, and some video highlights. This news is especially rough given that Kristen Wiig also left the show. 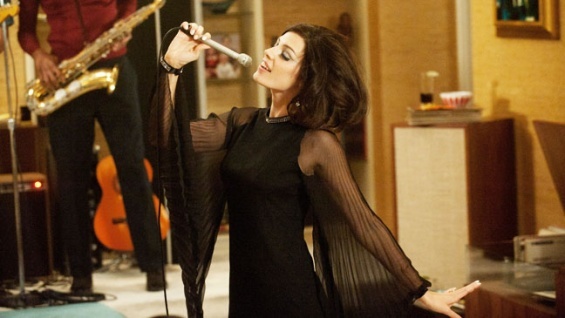 Her departure was announced in a moving final segment at the end of the season finale, in which she danced with the cast to the tune of “She’s a Rainbow” and “Ruby Tuesday.” “She’s a Rainbow” was just about the perfect song to play for Wiig, as she was one of the most colorful performers the show has ever had, and she will light up the big screen in the years to come. “Bridesmaids” was her first, and most certainly not her last, mega success in film (I haven’t forgotten about her bit part in “Knocked Up”). In fact, I believe she will become one of the biggest movie stars the show has ever produced. 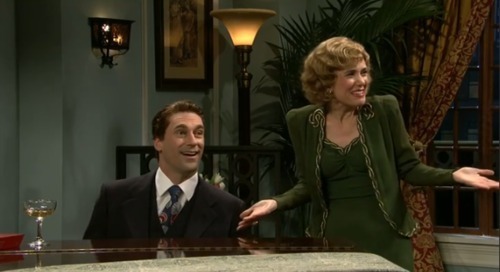 The big question right now is this: where does “Saturday Night Live” go from here? Recently, “Saturday Night Live” has built a talented ensemble that does not hinge on one or two people alone. Fred Armisen, Bill Hader, and Jason Sudekis have no plans to leave yet, but given their success in other television shows and movies, that may not last long. Seth Meyers remains a strong Weekend Update host, and featured players Vanessa Bayer, Taran Killam, and Jay Pharoah hold promising futures. “Saturday Night Live” is an American institution. And for every Chris Kattan and Victoria Jackson that is put out into the world, they also produce an Eddie Murphy* or Will Ferrell. No matter how many times people try and put it down, “Saturday Night Live” is an important breeding ground for both comedy and comedians. And every once in a while, they give us someone like Andy Samberg and Kristen Wiig. This entry was posted in Analog This, Andy Samberg, Digital Short, Hot Rod, Kristen Wiig, Lazy Sunday, Saturday Night Live on June 2, 2012 by ian0592.